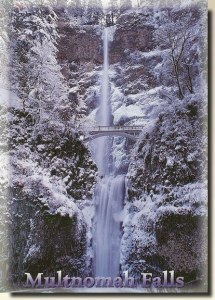 Multnomah Falls, Columbia River Gorge National Scenic Area. 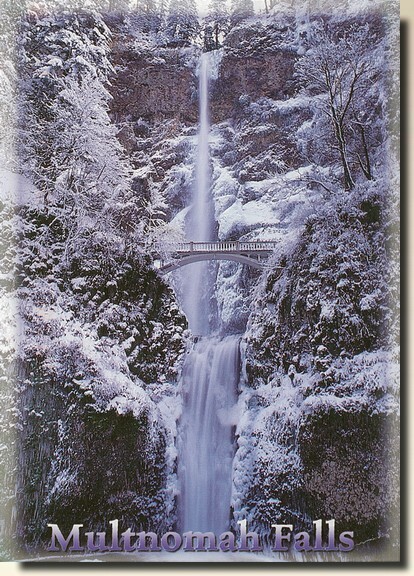 Multnomah Falls plunges a total of 621-feet over two cataracts, uper fall 542-feet and lower fall 69-feet. It is the second highest year-round waterfall and fifth-largset overall in the United-States. The flow of the falls varies during the seasos and isthe highest during spring and winter. Although it is not a common occurrence, in winter during extremely cold temperatures the falls can actually freeze, ressembling a giant icicle.